Fees are based on the time and complexity of your evaluation plus any laboratory evaluation that is required. The physician’s fee for an initial workup varies, depending on the time spent both with you and your records. The extent of initial laboratory evaluation will depend on the complexity of your illness. The cost of follow-up visits will also depend on the length and complexity of the visit. Our fees are in keeping with the usual and customary charges for internal medicine subspecialty evaluations in this area. At the end of each visit you will receive an itemized bill containing the physician’s fees plus any laboratory or x-ray charges. 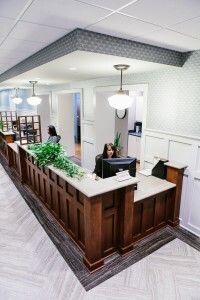 Because statements and billing costs have become so expensive and because we do our best to keep all medical costs down, we expect our patients to pay their bills at the time services are rendered. If you have any questions regarding your charges or would like to discuss terms of payment, our office manager is always willing to discuss these matters with you. For your convenience we do accept MasterCard and Visa. We currently participate with Medicare, Medicaid, Blue Cross Blue Shield and some Crescent Plans. (Please verify with your employer to be sure we participate with your company) You are responsible for paying your co-pay at the time of service. Please bring your insurance identification card with you.